What Are The Major Benefits Of Learning A Piano? Learning how to play an instrument has a strong influence on your life that reaches far beyond the capability to perform selected tracks or songs. Apart from being able to create music, learning to play an instrument like piano helps you develop essential physical and social skills that continue throughout your life. When it comes to taking piano lessons in Meadow Heights, it is important to take professional help as the process involves accuracy and discipline. Better motor skills– The dual hand coordination is required while playing the piano is a challenging skill to perfect. 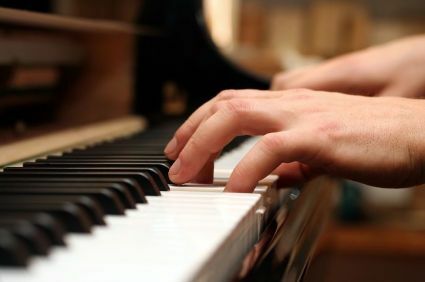 Though most instruments help you learn control over certain areas of your body, the piano involves foot movement on the pedals, hand-eye coordination as the notes are read and then played. Improved concentration– Learning music enhances the ability to focus on complex tasks. Also, it requires the mind to make prompt reckonings and translate them to hand movements. While many people think of music as a creative thing, and it is, playing an instrument is also a crucial cognitive skill. Therefore, joining a reputed music school in Meadow heights helps you achieve success in the music industry. Love for different music genres– Students who are involved in music and instruments have a much wider exposure to an array of musical styles. They learn to appreciate different kinds of music from jazz and folk, to classical and rock. However, a professional guidance is important while taking piano lessons in Meadow Heights and other parts of the world. Enhanced memory function– Piano students develop numerous positive attributes from learning to read musical notes from their mentor. However, students naturally begin to remember their favorite composition, develop the ability to recognize patterns in the sheet effortlessly. Such skills improve both long and short-term memory that will help them throughout their lives.